At the moment, I have placed existing worksheets in the appropriate areas. New worksheets and content will be published over the next few months. They will include model answers where appropriate. A Levels are examinations taken by students at around the age of 18. A Level Chemistry courses normally take two years to complete, with all the examinations taken at the end in the summer. They are usually required for university entry. The A Level teaching content is divided in two, which I have identified here as Core and Further. It is possible to take an AS Level examination based on the Core content. Some students may choose to do this at the end of their first year of studies, then either drop the subject or continue on to study the Further content. AS Levels are graded from A to E (grade A is the highest), and A Levels from A* to E (grade A* is the highest). 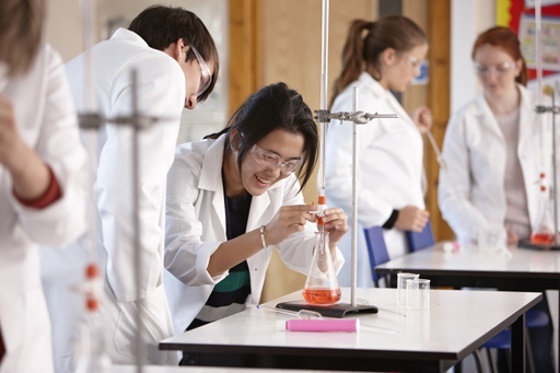 The Department for Education publishes the required skills, knowledge and understanding required by all Chemistry AS and A Level courses. The examination boards base their specifications on this content, with some differences in approach and with varying additional content.